In a world almost dominated by big budget superhero movies, Hollywood has no trouble finding a new property to revamp from its prior iterations. Perhaps no other old franchise is more ready for a new take than Power Rangers. Sure, there have been numerous shows since the 90s but none truly hit as much as that original series and subsequent film. Yet it’s been over two decades since that original film for Hollywood to try again and surprisingly produce an entertaining film. The story and plot are very much standard origin story fare. The first two-thirds are actually really good, taking a Chronicle type vibe to the teenagers finding these powers. It brings the characters into the modern day and it works completely. There is still some cheesy elements, but unlike most films, it fits right at home within Power Rangers, including the most explicit product placement in recent memory. The biggest complaint I could make is the lack of more explanation behind the Rangers or even the Zords, but for the most part it’s a solid set up for future installments. Something that Power Rangers nails that most team films struggle with is the dynamic and chemistry between the members. There are highlights amongst the team but the five of them together produces a lot of good moments. Dacre Montgomery functions incredibly well as a leader for these misfits, likely earning some attention in the future. Naomi Scott also has great chemistry with Montgomery, giving the film some heart to heart moments, and Becky G. shines as the sort of outcast of the group that eventually comes around. Then there is Elizabeth Banks, who feels pulled from a different film entirely, as Rita Repulsa, who contradicts the entire tone of the film with her over the top nature. While all of the actors do a fairly phenomenal job, the key member and performance amongst the team is RJ Cyler. Cyler is easily the highlight of the rangers, and while he may not be the leader, he seems to be the soul of the team and Cyler plays that part, as well as his character's mannerisms, well. There is not a whole lot of action in the film as a whole, but when it’s there, it’s entertaining while also serving as somewhat of a callback. Now the team only morphs once, a payoff that feels earned, and only gets to fight as Rangers that one time. And the film could be a bit shorter, hitting a few points over and over, and everything could’ve been a bit tighter. 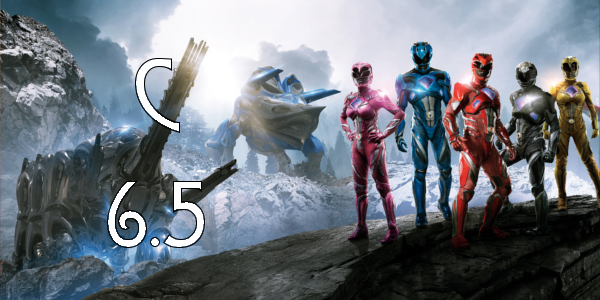 Overall, Power Rangers is pleasant surprise despite everything working against it. There aren’t any major gripes I have with the film, though I’d hardly say it’s a great film (or even good) just a solid action film with good characters. And that is a big positive for the movie, good characters that you can actually connect with and sort of care about. 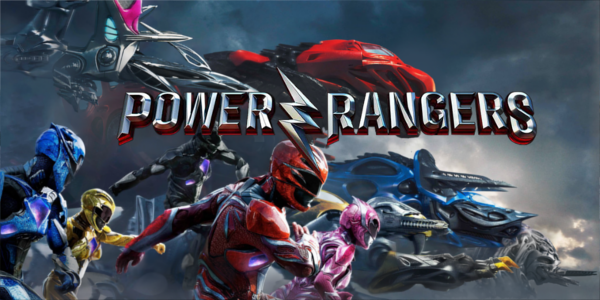 Power Rangers is a highly entertaining film, despite some flaws, and with any luck the start of an interesting new franchise. So what did you think of Power Rangers? Have you seen it, are you interested in seeing it, and who is your favorite Ranger? Subscribe, share, comment below, and as always return to I Am Sam for weekly reviews and insight.